A D.C streetcar was derailed Sunday morning for an emergency drill. 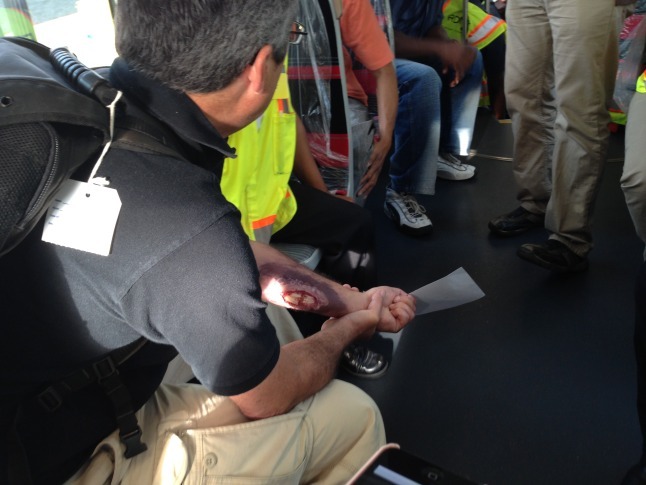 WASHINGTON — A Washington, D.C., streetcar was derailed Sunday morning for an emergency drill. The routine exercise tested how first responders would perform during a real-life crisis. The streetcar was derailed and a car was placed right in its path to simulate a crash. More than a dozen actors on the streetcar pretended to be hurt. Firefighters used the jaws of life to rip off the roof of the car and rescue a manikin inside. H Street NE was shut down for several hours during the drill. Streetcar operators are still in training but Gibson says the H Street-Benning Road line will be open to the public by the end of the year.